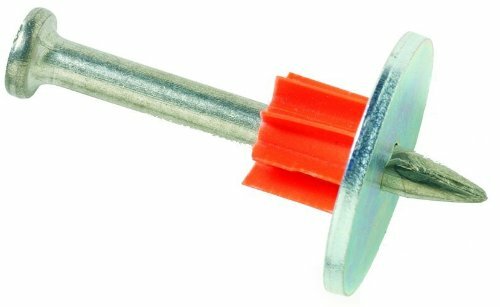 Ramset Powder Fastening Systems 1516SDC 2-1/2-inch washered pin are drive pins with washers to increase bearing surface against the material to be fastened. Ramset powder actuated fasteners are specifically fabricated to meet the exacting requirements of toughness and durability that enable them to penetrate dense concrete and structural quality steel. The metal Washer is 16 gauge. It comes 100 per box. 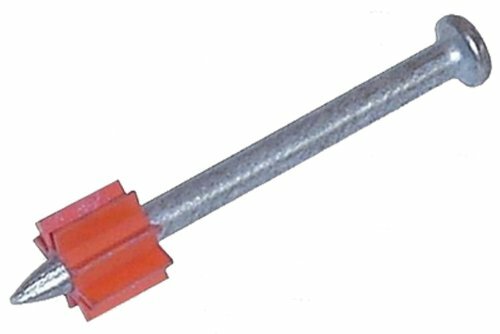 Shank diameter = .145 head diameter = .300. Increases bearing surface against the material to be fastened. 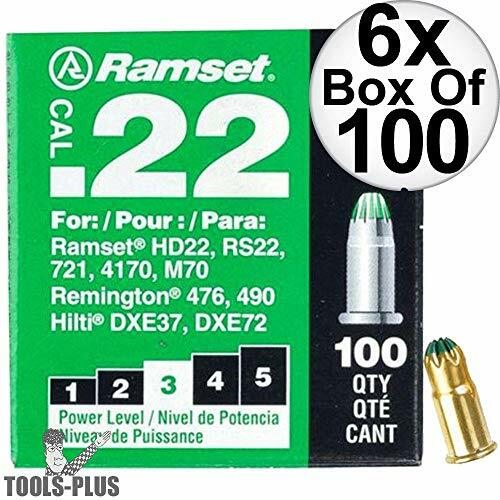 Ramset 100 Pack .27 Caliber Red Strip Fastener Load. 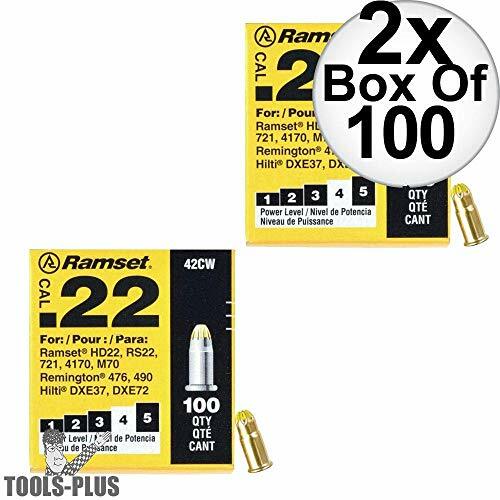 Ramset powder loads provide the performance and power you need to penetrate hollow block and concrete. The loads are color coded red and are at power level 5. When beginning projects use lower level loads and move into higher load if fastener does not set completely. 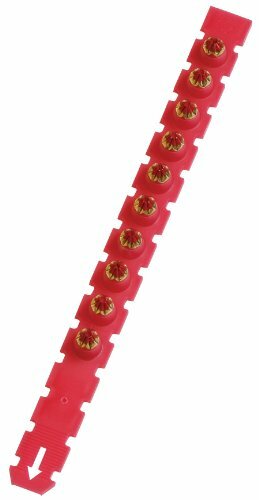 The .27 caliber red fastener load is to be used with Ramset SA270, Cobra, Viper and Hilti models DX-350, DX-351, DX-36M and DX-451. 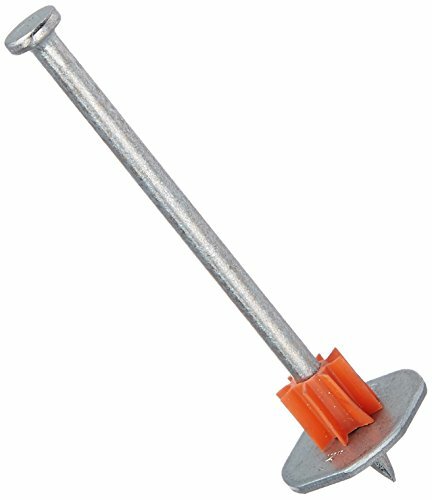 Ramset Powder Fastening Systems 1508SD 1-inch Washered Pin are drive pins with washers to increase bearing surface against the material to be fastened. Ramset powder actuated fasteners are specifically fabricated to meet the exacting requirements of toughness and durability that enable them to penetrate dense concrete and structural quality steel. The metal washer is 16 gauge. It comes 100 per box. Shank diameter = .145 Head diameter = .300. High quality plastic,environmental protection,high expansion cefficient. 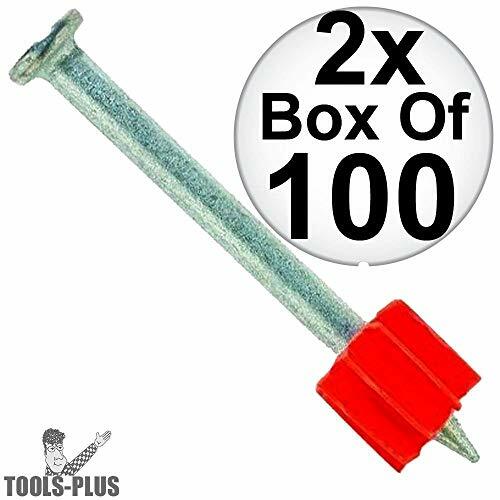 Can effectively prevent expansion pipe turning while tightening the screws,enhancing friction as well. 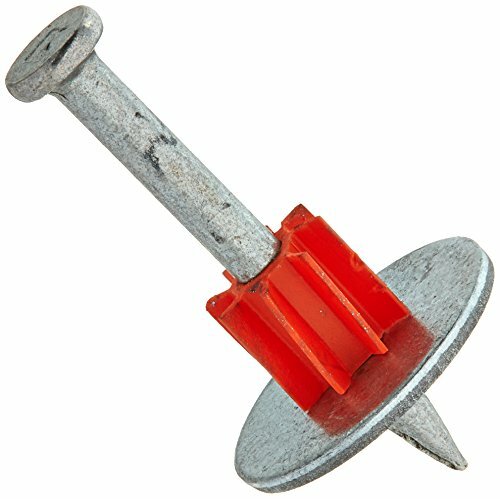 Protruded edge can prevent the expansion screw from entering the deep part of the hole due to over-deep drilling. 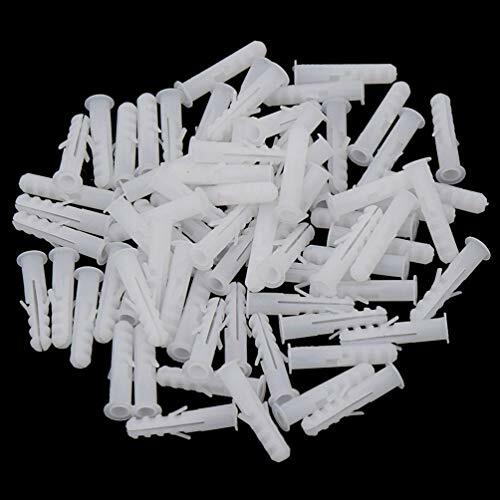 Strong anchoring force,large anchorage range,can be used to anchor cabinets,switches,line slots,picture frames,mirror frames,coat and hat frames,skirting boards,electric wall frame,curtain guide rail,home decoration etc. Wide Application:Can be commonly applied to solid brick,concrete,aerated concrete,high-hole brick,sand brick and other wall materials. ITW Ramset powder actuated fasteners are specifically fabricated to meet the exacting requirements of toughness and durability that enable them to penetrate dense concrete and structural quality steel; Coated to improve corrosion resistance in treated lumber and other applications; Washer increases bearing surface against the material to be fastened. 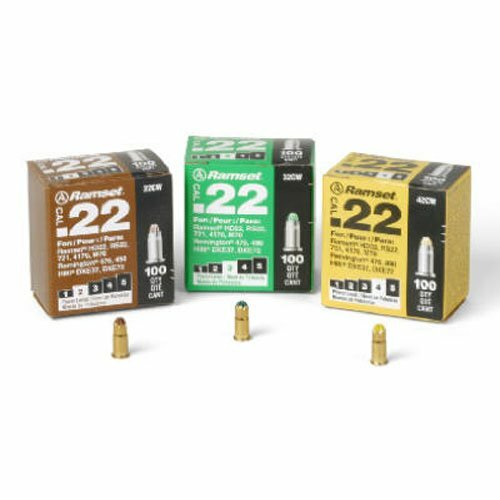 Producing a high-quality cartridge requires the perfect driving power, firing sensitivity, propellant specification, and magazine strength. 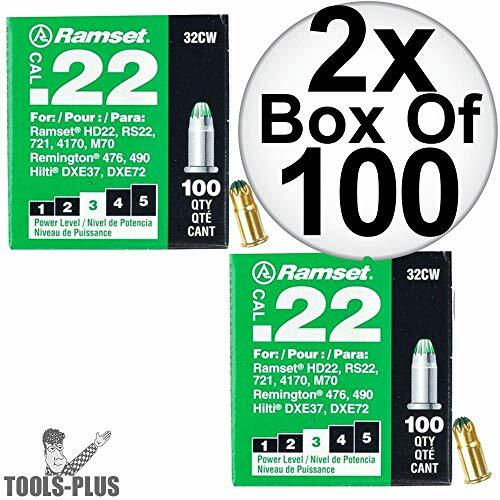 Ramset 100 Pack .300" x 3" #1524SDP Drive Pin With Washer. 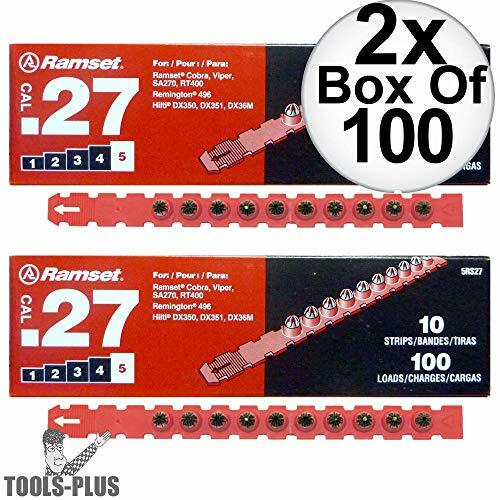 Using Ramset drive pins will assure you of consistent and optimum quality in every fastener. 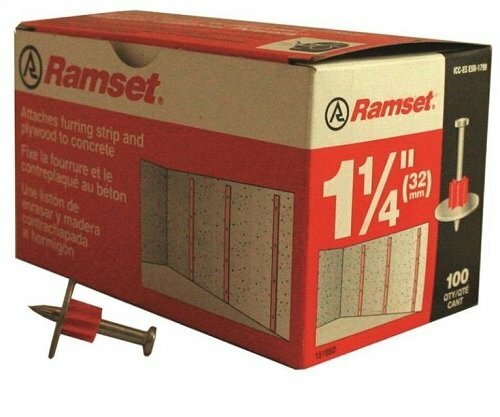 Ramset drive pins are designed for fastening in concrete and steel. Using Ramset drive pins will assure of consistent can optimum quality in every fastener. 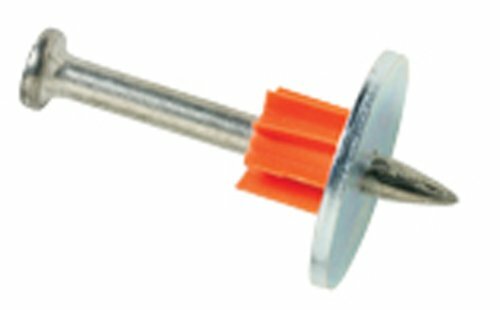 The drive pin measures 3'' in length, .300 head diameter and .145 shank diameter. 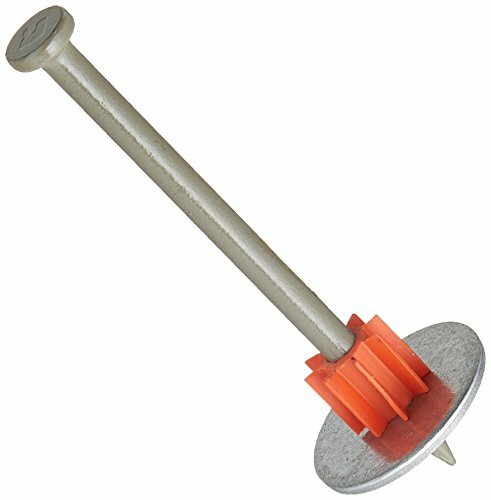 Pin comes with a 16 gauge washer to increase bearing surface against the material to be fastened.